Sony MDR-1000X review | What Hi-Fi? The Sony MDR-1000X wireless headphones were Sony’s first pair of premium Bluetooth, noise-cancelling over-ear headphones - and they came with some pretty bold claims, not least the promise of “industry leading levels of noise-cancelling”. That was a bold claim. After all, they were up against some stiff competition in the shape of the Bose QuietComfort 35 and Sennheiser Momentum 2.0 Wireless. As it turned out, Sony had every reason to be confident, delivering a pair of five-star headphones that set the standard and paved the way for future, class-leading products, such as the latest Sony WH-1000XM3 headphones. But if you find the MDR-1000X headphones at a knockdown price, they still represent great value. Key to Sony's noise-cancelling claim is some serious tech, namely the Sense Engine and the Personal NC Optimiser, the latter being a piece of auto-calibration software similar to that found on home cinema amplifiers. The Sonys fire out test tones to measure your head/ear shape and the positioning of the headphones. Numbers are then crunched with the aim of delivering the best noise-cancelling (and sound quality) possible. A voice from the headphones tells you when the process is complete and when the noise-cancelling is engaged. It also chirps up when you turn the headphones on, during Bluetooth pairing and at various moments to tell you the level of the built-in battery. Another key feature that helps set these Sonys apart is the Quick Attention mode. Holding a conversation whilst wearing a pair of over-ears usually involves some kind of awkward positioning of an earpiece or the complete removal of your cans. The ‘1000Xs save you from all this hassle. Place your hand on the right headphone housing while listening to music and it immediately cuts out. You can now hear what the other person is saying in crystal-clear quality. Take your hand away and the music snaps back into place. It’s a smart, appealing way of interacting with the headphones. The MDR-1000Xs also offer an Ambient Sound mode, which has two settings. ‘Normal’ allows a little outside noise through, so you can keep an ear out for sirens, bicycle bells and the like. ‘Voice’ means the headphones focus on allowing conversations in. Switch between the two and you can hear a subtle difference in the frequencies being filtered. The outer surface of the right earpad doubles as a touchpad, with finger movements on the faux leather surface controlling music playback and volume. Tapping on the middle plays and pauses, tap and slide up or down to change volume and left or right to skip track. Altering volume and skipping track works reasonably well, but we found tapping to pause and resume music doesn’t always produce the desired results. The earpad cover is all one material and there’s no ‘x’ to mark the centre. We struggled to find the middle every time, and even when it feels like you’re tapping the right spot, the headphones don’t always respond first time. Take them out of the box, and the first impression is that the MDR-1000Xs’ build is on a par with rival ‘phones. Our sample black finish looks smart, though a beige option is also available. They are discreet too, the only real accents being the Sony logos etched into each side of the headphones and the small ‘wireless’ and ‘MDR-1000X’ badges on the headband. Comfort is decent. They rest on your head as opposed to clamp onto it, but they feel secure and won’t slide off unexpectedly. Sony has opted for polyurethane foam to help aid the noise isolation when noise-cancelling isn’t in use. The earpads feel soft enough, but they aren’t as supple or plush as the pads used on the original Bose QC35s. As you’d expect from a pair of premium portable cans, the MDR-1000Xs can fold away neatly. A substantial case is provided, complete with travel adapter, headphone cable for wired listening and micro USB cable for charging. Of course here, sound quality is king, but with headphones like the MDR-1000Xs, noise-cancelling has to be up to scratch. And in this respect we’re glad to report the Sonys are very good indeed. They are easily on a par with the Bose QC35s and better than the Momentum Wireless headphones. The MDR-1000Xs do a great job of cancelling out the drone and rumble of everyday life, whether in a busy office or on your daily commute – and with or without music playing, too. The headphones use Sony’s DSEE HX audio processing, which the company claims will upscale compressed music to near hi-res quality. We always get a little nervy when processing tech starts messing around with the source material, but on this occasion the audio is pleasing. With some Bluetooth headphones, we’ve experienced a slight brightness and hardness, but these Sonys sound anything but. There’s a silky smoothness and sense of refinement that leaves you purring for more. Leading edges are still delivered with crispness and precision, though, and this smoothness doesn’t dumb down their dynamic ability. It’s a beautifully balanced sound too; highs and lows share equal status. Play Rod Stewart’s In A Broken Dream and the David Gilmour (of Pink Floyd fame) guitar solo intro wails with as much soul and power as you could want. There’s a cutting edge here, but it doesn’t sound too sharp nor cut too deep. The Sonys manage to get the distinctive vocal spot on. Expressive and rich in detail, you can’t help but get caught up in the emotion of the track. It’s a different character to the QC35s, which sound a tad bright and hard in comparison. Drop lower down the frequency range and there’s plenty of weight, but it’s tightly controlled, and measured in its deployment. Play Drake’s Started From The Bottom and the bassline plummets to an impressive depth, but doesn’t sound overblown. You can almost feel the texture of each note as it reaches down and the Sonys dig out the detail. The Sony MDR-1000X headphones began what has become a dynasty of top-notch Sony wireless noise-cancelling headphones. 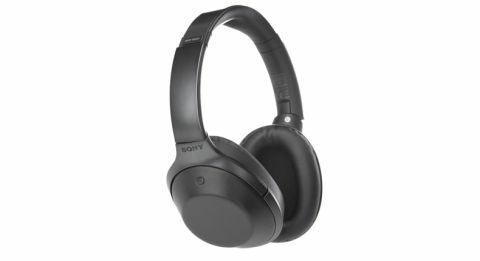 There's now a newer model, in the form of the WH-1000XM3, not to mention new offerings from Bose and Sennheiser, but the original Sony wireless headphones remain a great bet, especially if you can find a good deal.